Millions of people experience more respiratory disorders, from common cold / flu, rhinitis, to bronchitis, or asthma along with the weather change, or increased pollutions / pollen. Varies symptoms are presented in clinics, including running / blocked nose, fever, cough, short of breathe and wheezing. If not treated properly at initial stage, it will lead to chronic fatigue, skin problems and even threaten the life. According to Traditional Chinese Medicine (TCM), the chest region is the place where “qi” (energy) breathe in through Lung. Over thousands years, TCM believe that good respiration can maintain and support the free flow of energy and blood circulation for a healthy body. It also provides strong immune system to against attack of pathogenic factors from external environment. Acupuncture is proven to be effective in treating many respiratory disorders. Researches imply that asthma clients benefit from appropriate acupuncture in addition to conventional therapy. 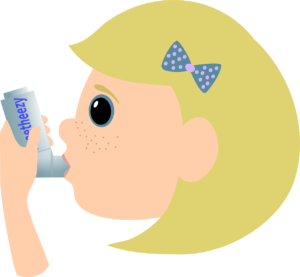 Evidences include the efficacy for some immunological parameters, experience of asthma symptoms, level of medication use and quality of life. Acupuncture can produce natural anti-inflammatory to decrease inflammation in the respiratory system while regulating sympathetic nervous system to control muscular motion in the tract. It further decreases the body allergic reaction to certain substances. In addition, acupuncture also contributed to the reduction of COPD-related dyspnea on exercise. It can relax muscles involved in breathing to increase capacity during exercise. It also may help reduce anxiety levels during breathless. Other research also found that acupuncture can benefit symptom such as high fever, blocked nose (sinus infection), cough, etc. In a research involving 261 patients who suffered abating fever for common cold, it shows that electroacupuncture had a definite therapeutic effect on high fever in early stage with cure rate increase from 10% to 27.8% within 24 hours. Another research shows acupuncture improved nasal airflow significantly over time of treatments. Auckland eastMed acupuncture offers treatments for the following conditions: common cold, bronchitis, Bronchial asthma, Allergic rhinitis (including hay fever); Sinusitis, Sore throat (tonsillitis), etc.